This book focuses on the complexities of the bisexual umbrella—the phrase that is often used to describe a wide range of sexual identities, attractions, and behaviors that indicate attraction to more than one gender. As a consequence, the bisexual umbrella groups together a very heterogeneous group of people. 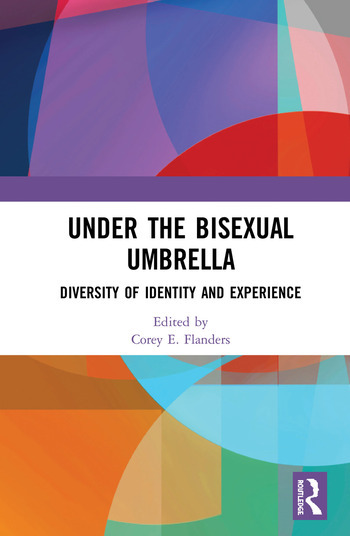 The writers in this book each grapple with how the bisexual umbrella is applied to a variety of communities, people, and experiences, and discuss the benefits and costs of these applications. Topics include exploration of the similarities and differences between two-spirit people and bisexuals, including how their health concerns overlap and diverge, detailing personal and empirical experiences of sexual fluidity, descriptions of how bisexual, pansexual, and queer people conceptualize sexual identity, and explorations of pansexuality. Through these writings, the diversity underneath the bisexual umbrella is revealed. This book was originally published as a Special Issue of the Journal of Bisexuality. Corey E. Flanders is an Assistant Professor in the Department of Psychology and Education at Mount Holyoke University, USA. Her research and teaching interests focus on issues of identity and health equity as they relate to the experiences of queer and trans people broadly, and bisexual people in particular.